14 years late, but I've finally managed to get my hands on a copy of Eternal Darkness: Sanity's Requiem. 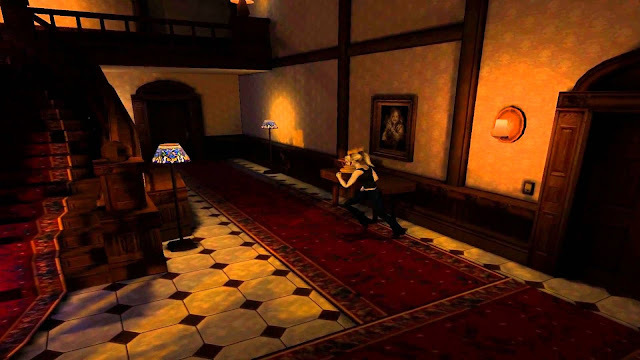 For those too young to remember, Eternal Darkness was a Gamecube game that broke serious ground in the horror genre. It is a ghost story and a love letter to Lovecraft. It takes into account the gamer mindset, as well as the mindset of the characters you play in game and actively uses it against you. It is a game that purposefully messes with the player more than any other game I have played in recent memory. In order to get the most out of it, the game asks only that you be in the right mindset to play, something that no game has ever mastered. To set the scene; after a terrible dream, your primary character, Alex Roivas, travels to Rhode Island to confirm the gruesome death of her grandfather and to settle the estate. She becomes determined to figure out what happened in his creepy old mansion. In doing so finds the Tome of Eternal Darkness, which is carried by all of the characters. Throughout the game, the chapters of the tome are filled in as the characters fight (sometimes unknowingly) the powers of the Eternal Darkness, an Ancient being trying to come into and devour this world. It is a pretty linear game overall, but the story unfolds with an excellent pace. What keeps it unique and fresh through all three playthroughs, -yes three if you want the full story- is the creature design. Depending on the Ancient artifact you choose at the beginning the creatures take on different forms, altering the gameplay and strategies you must use to defeat them. For example, if you choose the red artifact the majority of the zombies have more HP and will grow back parts. Choose the green artifact and they will continue to function despite having limbs chopped off. Pick the blue and they will explode and deplete your magic meter. 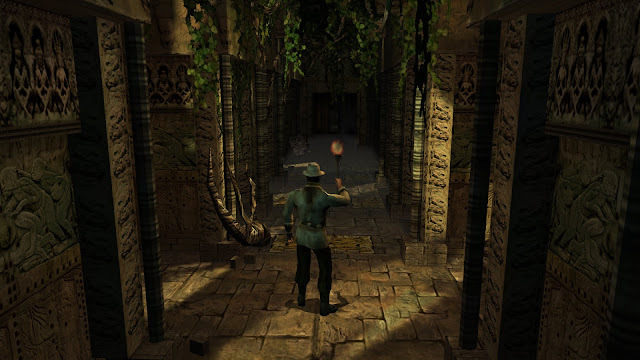 Eternal Darkness takes its tole on the player. There were moments when I simply had to put the game down and walk away because the psychological elements had left me tearful and frightened. One such point took place in a cathedral during WWI which is set up as a field hospital. Shells began to fall and people began disappearing! Imagine being in those shoes. Although the terror runs deep and there are some really messed up things that occur throughout the game. Its permeating atmosphere is rivaled only by the devilish insanity effects. As your characters experience more and more terrifying and unnerving things, their psyche breaks down. The worse off a character gets, the more frequently and severe the effects will be. These include, but are not limited to, your character simply exploding, extra monsters showing up in a room, hearing knocking on the walls, being told by the game that you've purchased only the demo version of the game, and the ever famous "delete your save file" effect. 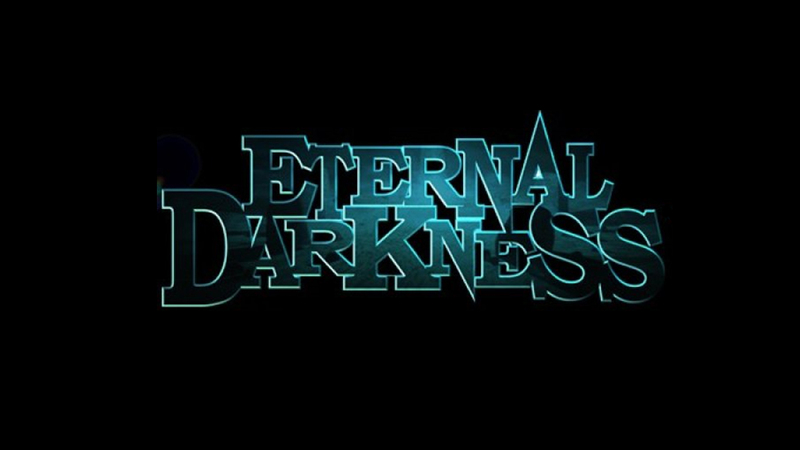 Eternal Darkness is a game that comes at you from all sides at once. It is engrossing, atmospheric, and intriguing.